“Scientists in motion: how immigration continues to shape the scientific world” was the motto of the first press talk at the 66th Lindau Nobel Laureate Meeting. A small but intimate format, the press talks have proved to be a useful platform apart from the lectures for highlighting key scientific topics of vital importance. Interested journalists and the panel participants had gathered at the invitation of Physics World to shed light on this far-reaching topic: Is immigration primarily about obtaining better research opportunities, or, in the worst case, is it about fleeing political circumstances in the country of origin? 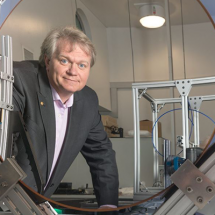 Hamish Johnston, editor of Physics World, kicked off the discussion with a brief outline of the careers of recipients of the Nobel Prize for Physics. Johnston had taken the trouble to research how many Nobel Laureates live in or have died in countries other than their homeland. That was true of 51 Laureates of the 200 listed. The clear winner of this brain drain has been the USA with 30 Laureates who emigrated there, eleven from Germany alone. Clearly, this represents just one of many aspects of this topic. One of the questions from the public was therefore about “hard facts” and reliable scientific studies, which, however, evidently do not yet exist. The selection of the panel participants reflected the far-ranging scope of the topic: young scientists Winifred Ayinpogbilla Atiah and Isabel Maldonado Cid. Atiah comes from Ghana. For her studies, she moved to a region where a different language is spoken – from the English-speaking world of Ghana to the French-speaking world of Senegal. 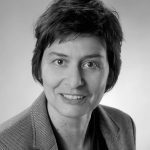 Her colleague Maldonado Cid originally hails from Spain but has already conducted research in Germany and England and now lives and works in France. Two Nobel Laureates also spoke and fielded questions: Martin Karplus and Dan Shechtman. Karplus had to flee the Nazis in Vienna as a child and emigrate with his family to the US. Shechtman was born in Israel, conducted research in the US and later returned to his homeland. Shechtman pointed out the special nature of a scientific career in Israel, where a requirement for a professorship is having done postdoc research abroad. Another particularity, he said, is that the best minds in Israel work at branches of international companies. However, the companies do not carry out manufacturing in Israel, but serve purely as research and development departments. Shechtman characterises Israel as a “start-up country”. His view is that excellent research requires excellent conditions, and during his career he would have moved wherever they were to be found – for even a scientist must be able to “grow and prosper”. 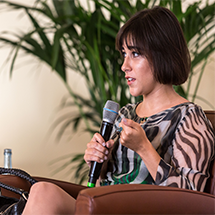 In response to an interesting question from the audience, as to whether a scientist feels a sense of obligation to the adopted country that has provided good research conditions, young scientist Isabel Maldonado Cid replied confidently that she has conducted studies and published papers in her adopted country in return. If, on the other hand, a young researcher, such as Winifred Ayinpogbilla Atiah, is mindful of how urgently expertise and research findings are needed in her homeland, that can be a strong factor in planning one’s own career. In fact, education decisions are often motivated by a desire to contribute to the progress and future of one’s native country and, after completing appropriate training, to return there. Initiatives such as the Next Einstein Forum mentioned by Atiah are important features in the research landscape in Africa. The aim of this initiative is to make African researchers more visible and to integrate them into the international science and research community. 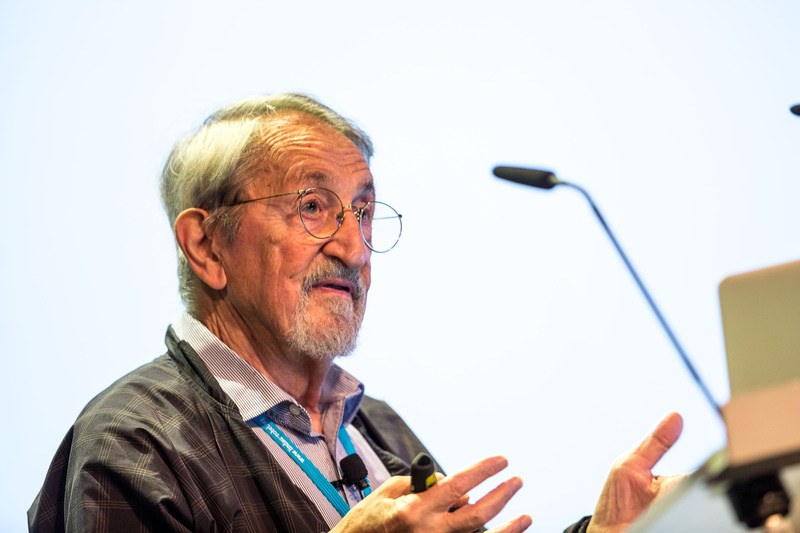 In response to a question about his personal experience with discrimination in his new homeland, Martin Karplus was able to draw from his own life history. Karplus had emigrated to the US with his parents and his brother via Switzerland, and he has his far-sighted parents to thank for the fact that he already possessed English language skills at the time. This made his fresh start in the US easier, but he felt an indirect pressure. He did not feel really at home and had to try especially hard, i.e. demonstrate his achievements and develop a raison d’être. However, a strong desire to do something with his life proved a powerful incentive. In fact, there was a limit on the number of Jewish students eligible for enrolment in the US in 1949, and only the best were admitted. Karplus recalls that there were certain areas in which Jews were not allowed to live, meaning that they were not allowed to buy houses there. At this point, Shechtman voiced his agreement, even if the excuses given today are formulated less harshly than “I’ll show you something else; this one isn’t right for you”. Karplus can imagine that the ongoing migration of scientists to the US will change again in future and that in 20 years’ time everyone might want to move to China. China is making strong efforts to attract outstanding minds and offer them a conducive environment. To come back to Germany, the Nazi regime and World War II had driven the research that had previously flourished in Germany (and Austria) to wrack and ruin and destroyed the former intellectual centre. At the opening of the 66th Lindau Nobel Laureate Meeting, German Federal Minister of Education and Research Johanna Wanka reminded her audience that the Meetings were established in 1951 to help German science escape from its isolation. 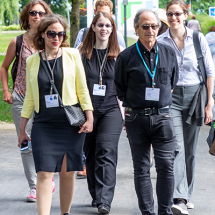 Today we can enjoy the fruits of those efforts, and we can see how – thanks to the young scientists – the Lindau Nobel Laureate Meetings are becoming increasingly more international from year to year.